Since we first slipped on a pair of Vanderbilt jeans to the endless succession of bandage dresses of the Kardashian Kollection, we’ve all been well versed in the appeal of celebrity “fashion” lines. But for every mogul-in the making who ranks in millions such as Jessica Simpson who got rich off peep-toe shoes to Jay-Z’s expansive streetwear brand, Rockawear – there are those whose designs either fly under the fashion radar or are an insult to design itself. Here are a number of celebs to add to your designer vocabulary. If you’re not a 13 year-old girl or are not the parent of one, chances are you’ve been living your life blissfully unaware of Avril Lavigne’s career and her budding fashion line. This modest juniors brand, Abbey Dawn, first emerged in 2008, exclusively available at Kohl’s featuring atypical “rock and roll” styles such as baby tees with safety pins and plaid skirts. Since then, the princess of pop punk has added accessories, menswear and three perfumes to her line and even showed at New York Fashion Week. Tees emblazoned with bow-adorned skulls and messages like “I F**king Love You B*tch,” inside a heart are at the core of the brand. So the next time you’re stuck at the beach without edgy enough flip-flops, Abbey Dawn has got you covered. Perpetually enthusiastic and general beacon of light, Richard Simmons was never known for his sophisticated style. After all, the man makes his living wearing bedazzled tank tops and hot pants. So it should come as no surprise that his foray into fashion contains equal flash and inspirational messaging in the form of his jewelry line Sparkle, for Jewelry Television. Inspired by his greatest loves: fitness, fashion and animals, he has designed three niche collections for the retailer. There’s “Pawmates,” featuring “Cat Lover” necklaces, the “Signature Collection,” as his ode to the rocking oldies with music notes and many more trinkets to choose from. Time to stick to the leg lifts, Richard. Before Amanda Bynes’ complete unraveling became schadenfreude material to the entire public, she was just the chipmunk-cheeked girl next door with her own teen fashion line. Back in the bygone days of 2007, she launched her line, “Dear” for the now since defunct Steve & Barry – featuring wholesome hoodies for pre-teens and lots of awkward layering. After the line and the retailer both fell victim to the recession and good taste, Bynes announced this year that she’s gearing up for another line, post her psychiatric stint. Her archival tunic dresses and “walking shorts” are still available through Amazon for those devoted completists. 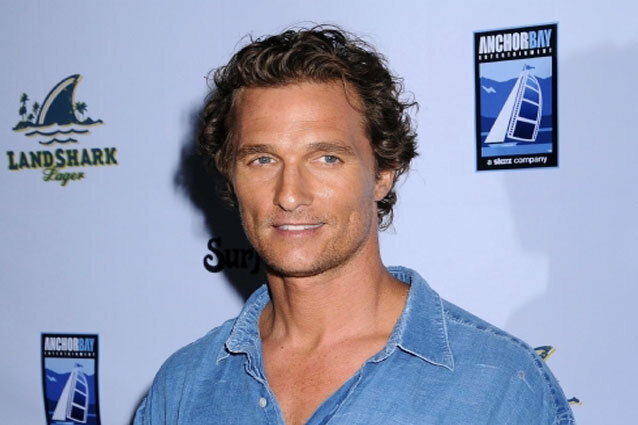 For a man who’s better known for his lack of clothes, it seems an odd choice for Matthew McConaughey to come out with his own clothing line. His “Just Keep Living,” line will feature basic sportswear pieces like: moisture-wicking tees so you don’t have to strip off your shirt when paparazzi come round, and other “all-journey gear” whose description sounds like those zip-off cargo pants that are beloved by Dads everywhere. Shilling your brand aside, a portion of each purchase of the line will go towards McConaughey’s charity of the same name. Until JKL hits Dilliards this fall, you’ll just have to settle for those “Life is Good” t-shirts at the airport. Given the Renaissance woman she is and all-around cool person, it seems the former Sonic Youth frontwoman can do no wrong in anyone’s eyes. While her latest art exhibition gives us pause, her past clothing collaborations are certainly more approachable than most. Her X-Girl line in the early nineties was modeled by It-girls Chloe Sevigny and Sofia Coppola and later, she teamed up with Urban Outfitters for her capsule collection Mirror/Dash in 2009. Her slouch sweaters for the brand weren’t much to shrug at, but then again she’s never been one for flash. Gordon rounded out her fashion repertoire most recently with the cult-brand Surface to Air, featuring sleek stagewear and plenty of ankle boots – satisfying the hearts of many a fashion blogger. While every day a new celebrity fashion line springs forth, there are simply too many to mention, but there are a few to keep your eye out for. For the Civil War reenactment enthusiasts and anyone who self describes themselves as bo-ho, John Mayer has the accessory for you! His continuing collaboration with leather maker Barrett Alley has yielded $190 bracelets featuring Civil War-era bone button closures and deerskin wallets called the Judas Pouch — a subtle gift for that boyfriend who cheated on you. Also pinch those pennies for Sylvester Stallone’s Rocky-inspired line, “Sly Inc,” which will launch next year and include everything from jeans, shirts, outerwear, underwear, watches and probably free tickets to see the new Rocky musical. Why Can't They Just Get Together Already?